The connection between Newmans and Fifehead appears to extend back to 1408 or perhaps even 1405 when John Newman (brother of Robert Newman of St. Thomas's, Salisbury) is recorded as being Rector there. According to Peter Oxlade's, the Newmans first rented the estate from its Lord, the Abbot of St. Augustine's Abbey, Bristol, from 1408 and subsequently purchased by Col. Richard Newman in 1660. This disagrees with the information in Wayne Newman's April 1998 article in the Newman Chronicle suggesting that the first lease over the Fifehead estate was taken out in 1530 by Robert Newman of Fifehead. 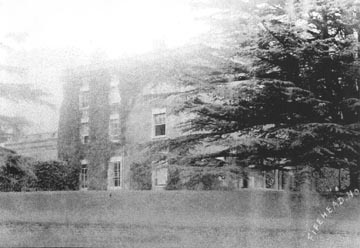 At any rate, the family connection lasted for almost 400 yeas "giving a sense of stability to the village", until the death of Frances Newman in 1775 following which the manor was sold in 1779 to the brother of a vicar of the parish. Later generations of Newmans are commemorated in the Newman Chapel in the Fifehead Church. 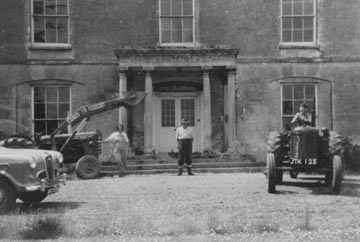 An extract from "Historical Monuments in the County of Dorset" kindly supplied to me by Peter Mera, Secretary of the Fifehead Hall says this about the old Manor House"
"FIFEHEAD HOUSE (78362161), some 50yds. S.E. 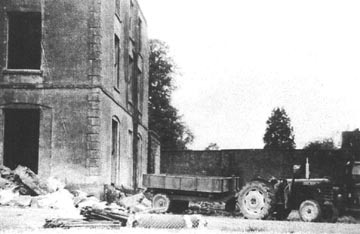 of (1), was demolished in 1964 (see photos below); it was of three storeys, with ashlar walls and slate-covered roofs. It was built in 1807 and had a class-U plan. The E. front was symmetrical and of three bays, with large sashed windows in each storey and with an elliptical- headed central doorway sheltered by a portico with four unfluted Corinthian columns and an enriched entablature. 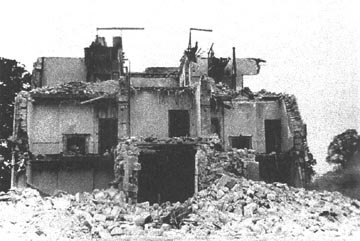 The ground-floor windows flanking the doorway were set in shallow segmental-headed recesses. 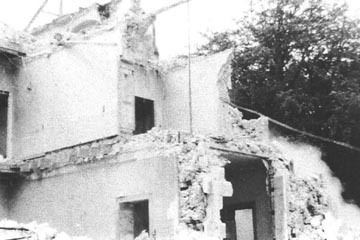 A slender plat-band marked the first floor; an entablature above the second-floor windows had a triglyph frieze and a moulded cornice capped by a low parapet wall; the corners of the facade had rusticated quoins. The N. and S. elevations of the main building were each of three bays, with architectural details as described; the W. elevation was masked by a two-storey service range. Inside, the principal rooms had ceilings with enriched plaster cornices, doorways with moulded and reeded surrounds, and carved marble chimneypieces. The open-string stairs had balustrades with panels of foliate trellis-work in cast lead, set between plain iron uprights; the handrails were of mahogany." "The former MANOR HOUSE was built about 1510 as the residence of the Newman family, who had rented the estate from its Lord, the Abbot of St. Augustine's Abbey, Bristol, from 1408. 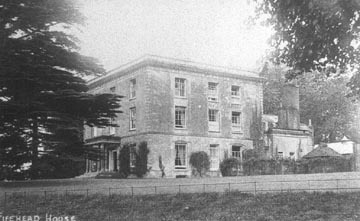 The Lordship of the Manor was purchased from the Bishop of Bristol by the then head of the family, Colonel Richard Newman, after the restoration of the Monarchy in 1660. Colonel Newman died shortly afterwards and there were then, successively, three other Richard Newmans who were Lords of the Manor. In 1699 the last of them was raised to a baronetcy and it is his family memorial tablet and sculptures which dominates the present vestry, originally the Newman mortuary chapel, of the church. Sir Richard died in 1721 and was succeeded by his son Sir Samwell Newman who died unmarried in 1747, when the male line became extinct. 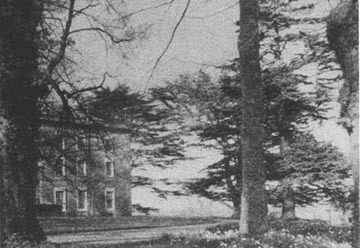 Two of Sir Samwell's three sisters continued to live at the Manor House and to control the estate until the last one died in 1775. 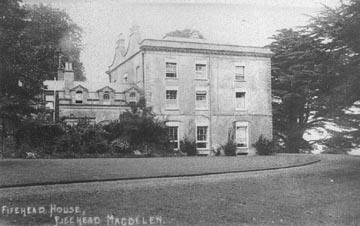 In 1779 the estate was sold to a partnership of two men, the Reverend William Whittaker of Motcombe, brother of a former vicar of Fifehead, and Robert James, a Fifehead farmer. The Newman family had also acquired the Manor of West Stour in 1656 and this, too, was purchased in 1779 by Messrs. James and Whittaker. By 1805 Robert James's partner was the Reverend Walter Whittaker, son of the former vicar, and it was they who sold the Manor to George Cox. So you have an estate which had been in the hands of the same family for over 350 years, with the family farming half the lands and occupying the Manor House for much of that period, thus giving a sense of stability to the village. Then the estate was sold, and sold again, every twenty or thirty years or so, until the 1920s when it was broken up as a unit. But by virtue of that earlier stability, when the village of 1840 is examined in detail, it is possible to suggest that as regards the houses and land holdings, there was not a great deal of change from the village of the 1600s - the holdings were almost identical and the houses were the same or replacements on roughly the same sites." History of Dorset p58 notes that "The Mansion, in part taken down about 1806 and the remainder converted into a farm house, was perhaps situated in as pleasant a spot as any in the county of Dorset, on a gentle eminence surrounded by avenues of lofty elms, commanding on the east a picturesque view of Stour Provost ....". The following photos of the 1807 house were kindly given to me by Peter Mera who acts as secretary for the village hall in Fifehead. Note: this is not the house that was occupied by the Newmans (which must have been demolished sometime after the estate was sold in 1779. I visited the spot with my father in the 1987, some twenty years after the manor had been taken down, but an old villager guided us to its location - a beautiful spot adjacent to the old church, facing a magnificent view over a valley to the east. Ha-ha wall in front of what used to be the lawn frontage to the manor house. 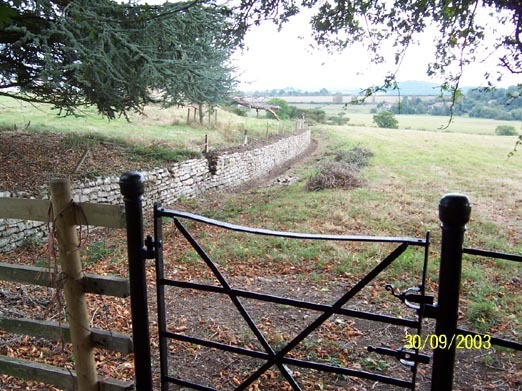 View looking back from ha-ha wall towards the location of the old house. 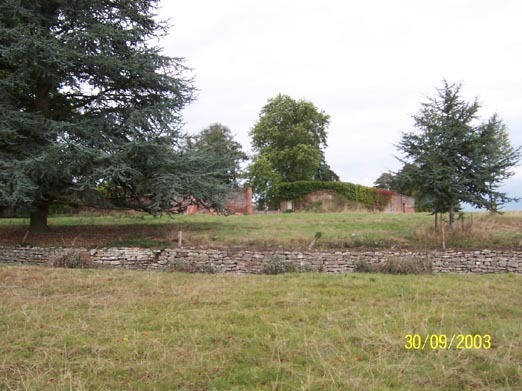 The brick wall used to contain the "walled garden" and is now a goat enclosure. 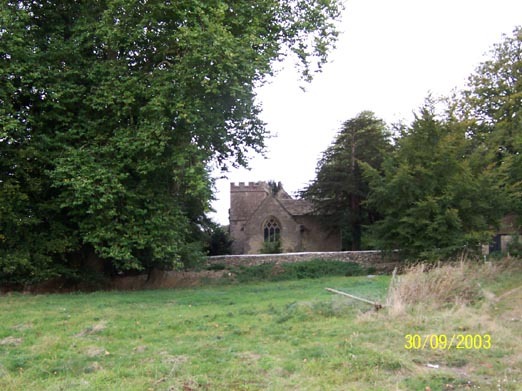 The churchyard is behind the stone wall on the left of the picture, the church being hidden behind the trees (see photo below). Ha-ha wall with walled garden beyond. 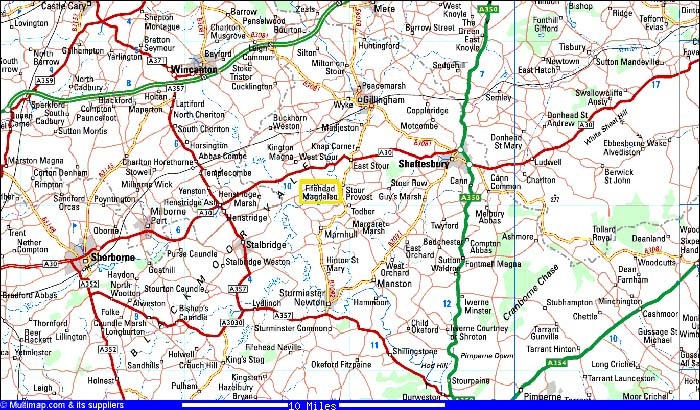 The map below shows the location of Fifehead Magdalen south of Wincanton, on the A30 between Shafsbury and Sherborne. Immediately to the east is Stour Provost, mentioned in the description above. Page created 21st Jan 2016 - previously being part of the Fifehead page.